The mobile wave has engulfed the world and its impact on healthcare has been nothing less than overwhelming. According to a research conducted by Markets and Markets, the mHealth technology market is expected to grow by 33% to cross USD 60 billion by 2020. Another survey by GreatCall showed that 93% of physicians believed that mHealth could contribute greatly to improving patient health. As mHealth cements its place in healthcare, let’s evaluate how doctors can leverage mobile technology for patient retention. Long wait times could be listed as one of the biggest banes that patients face when going for a doctors’ appointment. Even with prior appointments, most patients have to wait endlessly to meet their doctors. And often after a seemingly endless wait, the patient is informed during a consultation that they have to come back after conducting a certain battery of tests. This is not only a waste of time for the patient but the doctor as well. With the consumerisation of healthcare, doctors can now leverage mHealth apps to take a look at patient history and intimate them of the tests that need to be done before they even meet them. Further, using mHealth apps, doctors can avoid appointment overlaps and post-appointment confirmation and notifications which ensure a smoother interaction with the patient during his/her physical visit. The right mobile apps can play a great role in making the doctor-patient communication more effective. Patients can easily store all their medical records and health history on comprehensive mobile health apps and access them anytime and anywhere. This solves the problem of the missing documents that we ever so often face when meeting with a doctor. With all the information stored in a central repository, doctors can spend the face time with the patients more productively and promote better interactions to manage the patients’ health better. This also leaves the patient more satisfied and less likely to shop around for another doctor. Using mHealth doctors can improve patient management and become more proactive with their patients. Proactive patient management in the form of timely communication regarding patient appointments, important notifications, and updates, post-appointment messages etc. can be delivered to the patient using an app to ensure that the patient does not miss out on any vital piece of information needed to maintain their health. Along with this, doctors can centralise all patient-related information in a central data repository that can be accessed anytime and anywhere which can be of great help to manage a patients’ health remotely. One of the biggest pain points that patients have is regarding pre and post-operative care. While information is provided to them both regarding pre and post-operative care, it is usually disseminated in one session making it hard to retain the information. Using mobile apps, doctors can send out relevant information to their patients at the right time so that the patients can take the measures both pre and post operation. This not only helps in better health management but also reduces readmission rates and helps in reducing healthcare costs for the patient. Patients today demand greater information access. While the healthcare sector has adopted digital technology, they are still trying to play catch up with other sectors such as retail. Patients today demand faster information access regarding their health. Research shows that a majority of healthcare consumers prefer using digital technology to visiting a hospital to get clarifications regarding the care that they are receiving. A 2017 study by American Well states that 26% of patients are likely to change healthcare systems to find a provider offering tele-visits. Doctors leveraging mHealth can help their patients access all the health information they need and proactively answer all questions that go into better health management. mHealth applications also provide a treasure trove of data that physicians can leverage for pre-emptive healthcare. Leveraging data analytics, doctors can plan better service delivery dependent on the patient requirement, and analyse and predict health conditions based on the patients’ health records to enable preventive healthcare. Further, doctors can upload tutorials on preventive healthcare and give practical advice to their patients on how to manage their health and health conditions better. All these things help in keeping the patients, the current consumers of healthcare, happy and satisfied as they find doctors becoming more invested in their health. As they say that numbers do not lie, and going by the adoption rate of mHealth it is becoming clear that this technology trend is not only here but is soon on its way to becoming the enabler of better interactions and better patient outcomes. Using mobile technology doctors can create greater engagement with their patients and enable better outcomes. Patient retention then becomes an automatic consequence of this effort. 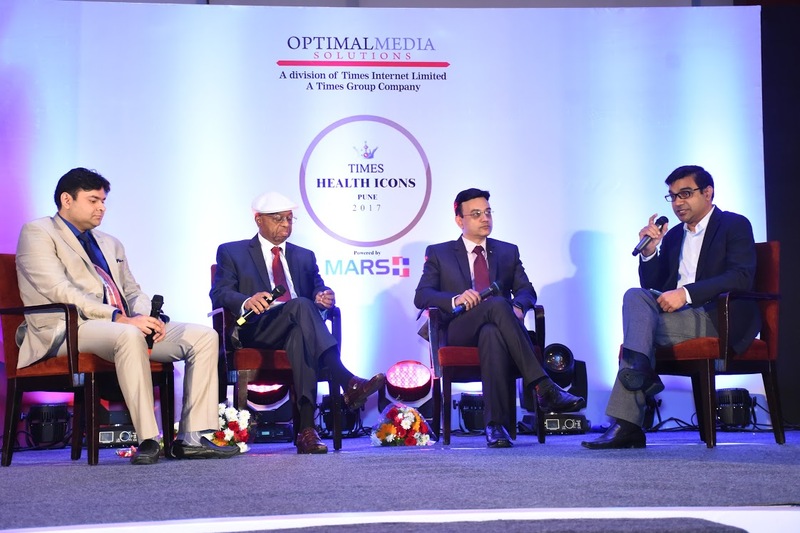 The recently concluded Times Health Icons Pune 2017 event, conducted by the Times of India, felicitating some of the pathbreakers in the field of medicine met with resounding success. MARSPlus was the sponsor for this event. We got an opportunity to have a candid conversation with up Dr. Bhandari who was one of the speakers at the event. Dr. Bhandari is a renowned bariatric surgeon and a strong technology advocate. 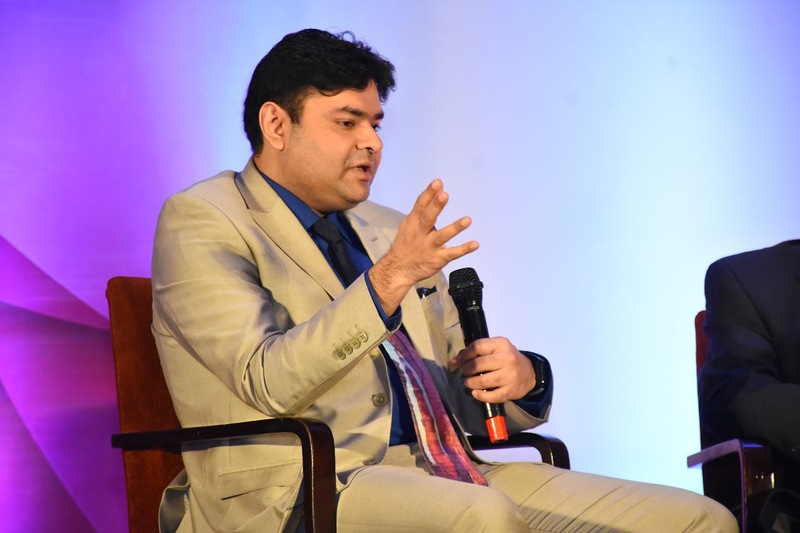 He is the Founder Director of Mohak Bariatrics and Robotics, Indore and Director, Bhandari Hospital and Research Centre, Indore and has performed over 8000 Bariatric procedures. He has also been featured in the Limca Book of Records for operating over 25 complex and diversified Bariatric /Robotic procedure in a span of 11 hours! He has conducted more than 750 complex robotic bariatric procedures and his centre is one of the most sought-after centres for revisions in weight loss surgery addressing failures after bariatric surgery. Here is an excerpt from the conversation. Technology, according to Dr. Bhandari, is a great boon for the healthcare segment. Having established one of the most technologically advanced hospitals in the country, he believes that the use of technology in healthcare is a critical enabler of productivity, ensuring precision and patient satisfaction. Unlike the propaganda of ‘technology is a distraction’, Dr. Bhandari believes that when used appropriately, technology actually can improve efficiencies of doctors and help them manipulate their time effectively. Managing multiple patients and hospital functions and functionalities can add to the cognitive burden. Technology helps a great deal in alleviating this burden and helps in building an interconnected network that not only improves process efficiencies but also helps in placing the patient at the heart of the healthcare process. With the great consumerisation of everything, healthcare too now has to become more patient-centric. The relationships between doctors and patients have undergone a massive shift. The patients are no more just the passive recipients of healthcare. Their expectations from their healthcare experience are rising. Since doctors only have a finite amount of time in their hands, they have to ensure that the time they spend with their patient is optimally productive. According to Dr. Bhandari, having a siloed healthcare approach cannot enable productive interactions. Doctor-patient relationships now have to be more engaging and doctors cannot afford to waste their time in looking for information. They need to maximise their time with patients. Dr. Bhandari feels that while technology has been a part of the healthcare ecosystem, health tech has to become simpler. Disconnected and siloed solutions to automate or digitise healthcare not only limit information sharing but also demand a lot of time and attention, something that is a premium for most healthcare practitioners. Some of the earlier healthcare systems have been so complex that they demanded a separate team of technicians only to do data entry. As one of the earliest adopters of MARSPlus integrated health app, he feels that the ease of use offered by MARSPlus is what makes it a unique solution. The complexity of use of healthcare applications has been one of the biggest impediments to adoption. Since doctors are people who are always on the go, an easy to use platform that connects all the stakeholders of healthcare, the doctors, the hospitals, the labs, the pathology departments and ancillary areas such as billing and finance can be a great boon. Dr. Bhandari uses the MARSPlus solution extensively in his own hospital to ensure patient satisfaction, identify areas of improvement and stay in touch with his patients proactively. The additional benefit is that he doesn’t have to depend on his diary to manage his appointments. His app manages everything with surgical precision for him. During the course of this event it became clear that contrary to what we are lead to believe, doctors are, in fact, strong advocates of technology. After all, they are surrounded by it during all their waking and working hours. However, what they do not like is the manner in which these solutions are built and the complexity of use. A comprehensive and integrated healthcare solution that takes into considering all the important checkpoints, is easy to use, mobile compatible and allows the anywhere, anytime use can enable proactive healthcare is clearly be a welcome addition to the healthcare ecosystem of today.